CHICAGO - When the Toronto Raptors initiated a coaching change and traded their best player last summer, they did so hoping that the painful cleansing would lead to an end to the playoffs disasters that have haunted them for years. But in their very first game in these 2019 NBA playoffs, a moment they shelved to usher in a time of renewal, the Raptors merely added another horror story to their closet full of bad memories. Against the seventh-seeded Orlando Magic, the second-ranked Raptors surrendered home court advantage by dropping Game One of their best-of-seven series, 104-101, at the Scotiabank Arena. It was their 14th defeat in 16 Game One battles. A kind of annual spring routine where Raptors fans flood their home building with a fresh deluge of tears. This time, LeBron James couldn't be blamed for crushing Toronto's emotions. This time, the culprit, the fearless assassin who wielded the jagged-edged knife, was incarnated by a journeyman playing for his eighth team in 11 NBA seasons. D.J. Augustin slayed the Raptors with 24 points on 9-of-14 shooting, including 4-of-5 from long distance. 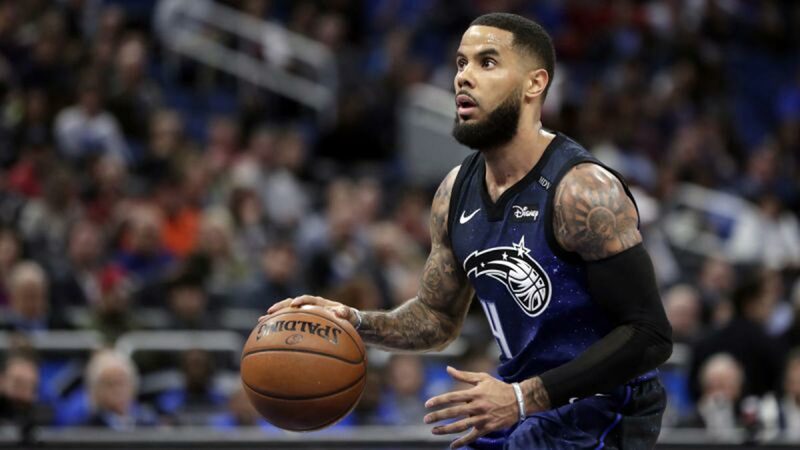 The 31-year old point guard, easily the smallest guy on the court at 6-feet and 183 pounds, also had six assists and rescued Orlando from the pit of defeat. His team trailing 101-99 with 44.9 seconds to go, Augustin knotted the count with a nifty lay-up against two trailing defenders. Moments later, following a fruitless Toronto possession, Augustin coaxed Marc Gasol into a pick-and-roll switch, leaving the 7-foot-1 giant at the mercy of his speed. After quickly creating separation, Augustin calmly knocked down a 28-foot 3 that turned out to be the game-winner with 3.4 seconds to go. Augustin's highlights cast the spotlight on Kyle Lowry, Toronto's five-time All-Star who wrestled with his playoffs demons, going scoreless in 34 minutes. There is a grocery list of factors that led to the Raptors' Game One demise. They were out-rebounded 48-45. Their bench was outscored 31-26. They had more turnovers, 12-11 and they shot less free throws, 20-14. New head coach Nick Nurse, who was hired to replace the fired Dwane Casey, had no timeouts left in the waning moments and Kawhi Leonard, who took over DeMar DeRozan as Toronto's new leader, airballed a potential game-tying 3 as time expired. In the end, the brilliance of Augustin and the disappearance of Lowry, proved to be the ultimate decider. Unlike Lowry, who is a starter in 481 of his 497 games as a Raptor, Agustin has come off the bench in 500 of his 807 regular season games. Unlike Lowry, who collects a $31.2 million salary this season alone, Augustin signed "only" a four-year $29 million deal in 2016. But in one game at least, in one shining moment D. J. proved superior to Kyle. "I've been doubted all my life..... But I'm still here in year eleven," Augustin told ESPN in a postgame interview. Augustin's journey is one of the many endearing attributes that makes us all fall in love with sports, life's pastime where the improbable becomes possible, where insurmountable odds are conquered. From doubted, D.J. Augustin joins the ranks of the validated. As for Lowry and the Raptors, the massive shake-up that orchestrated the exiles of a respected coach and a beloved star, has done nothing but induce more questions than answers. How can the Raptors, who logged a 58-24 record, lose a crucial series opener to a 42-40 Magic team that barely made the offseason? How can they seem so unprepared in a big game? Maybe, only the basketball Gods know.